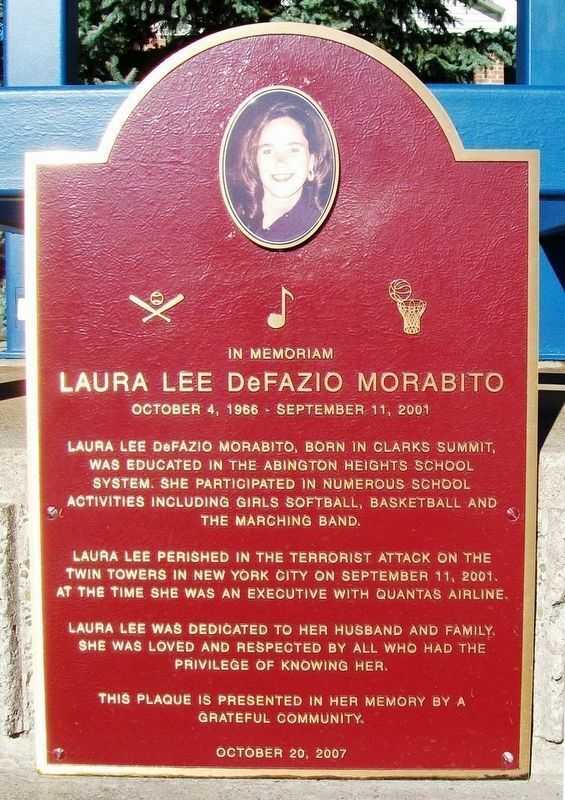 Laura Lee DeFazio Morabito. October 4, 1966 - September 11, 2001—. Erected 2007 by Concerned Citizens. Location. 41° 29.664′ N, 75° 42.222′ W. Marker is in Clarks Summit, Pennsylvania, in Lackawanna County. Marker is at the intersection of State Street (U.S. 6/11) and Spring Street / Main Avenue, on the left when traveling north on State Street. Touch for map. 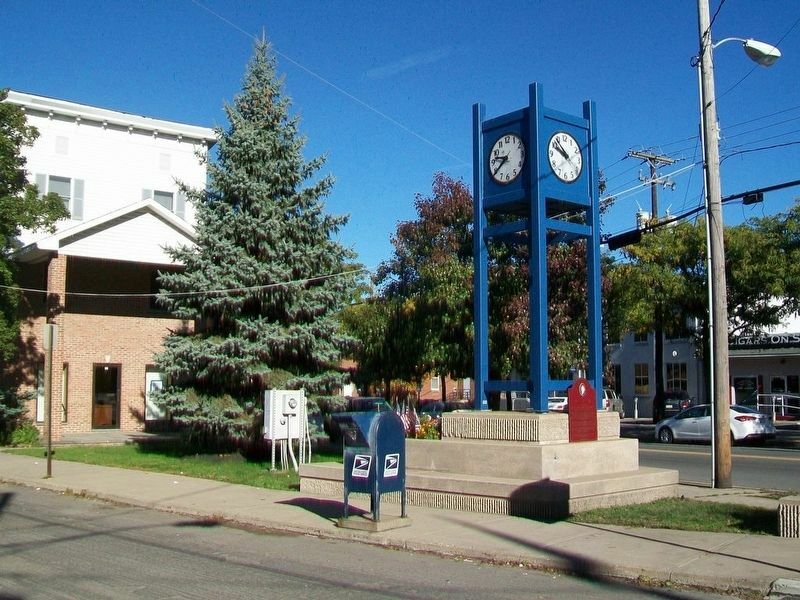 Marker is at or near this postal address: 300 South State Street, Clarks Summit PA 18411, United States of America. Touch for directions. Deacon William Clark (approx. half a mile away); Baptist Church Bell (approx. half a mile away); War Memorial (approx. one mile away); South Abington Township World War II Memorial (approx. 1.8 miles away); Hickory Grove Cemetery (approx. 2.2 miles away); Elder Miller (approx. 2.3 miles away); a different marker also named War Memorial (approx. 4.8 miles away). Touch for a list and map of all markers in Clarks Summit. More. Search the internet for Laura Lee DeFazio Morabito. Credits. This page was last revised on October 25, 2016. This page originally submitted on October 25, 2016, by William Fischer, Jr. of Scranton, Pennsylvania. This page has been viewed 186 times since then and 12 times this year. Photos: 1, 2. submitted on October 25, 2016, by William Fischer, Jr. of Scranton, Pennsylvania.